We’re so excited to have seen our second annual Canadian RVing and Camping Week be the success that it was. We can hardly believe it’s over! Thousands of RVers and Campers, 50+ campgrounds across Canada, RV dealerships and all of our Camping Week 2016 partners rallied together May 24-29 with a goal to raise $20,000 for Make-A-Wish® Canada and to promote our collective love of the outdoors. Campers across Canada gathered on the evening of Saturday May 28th for a special LED Wish Lantern event to shine a light for Make-A-Wish. It was a spectacular sight! Proceeds from each lantern went to our fundraising goal for Make-A-Wish Canada where every dollar will go toward helping grant wishes for children with life-threatening illnesses. RV dealerships also got on board Canadian RVing and Camping Week by selling Wish Stars for $2 each, allowing anyone not camping to contribute. 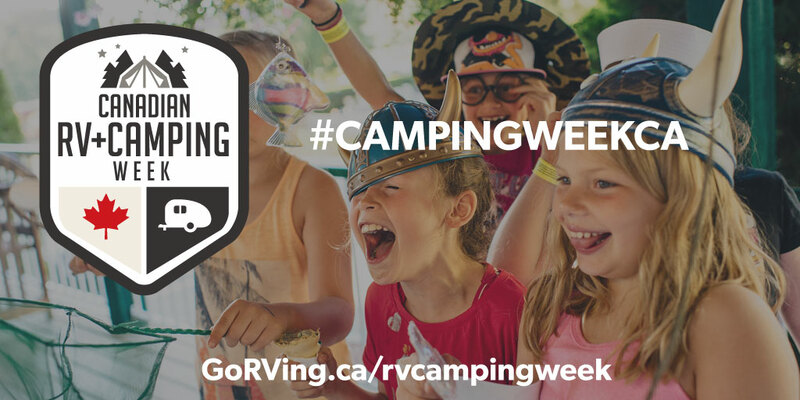 If you were on social media during Camping Week you may have spotted a few people sharing their experiences with the hashtag #CampingWeekCA. We spotted a wide selection of great posts sharing camping memories, stories of RVing as children and favourite destinations. It was amazing to hear so many stories and enjoyed watching RVers recount past times and their love of RVing. We even gave away a few prizes! During Camping Week Go RVing Canada ran giveaways on Instagram, Facebook and Twitter, allowing people to enter to win a Parks Canada National Parks Pass. Congratulations to our 12 winners who were notified and are being mailed their passes this week. We know you’ll get great use out of them! Data has shown that wish experiences have a positive impact on children living with a life-threatening illness. Last year, Hailey’s wish of going camping, playing in the woods and stare up at the stars was granted. Thanks to our partnership with Make-A-Wish Canada, we will be able to grant more children’s wishes this year. A huge thank you goes out to our Camping Week coalition partners Make-A-Wish Canada, Aviva Canada, Canadian Recreation Vehicle Association (CRVA), Canadian Camping and RV Council (CCRVC), Canadian Recreation Vehicle Dealers Association (RVDA) and Parks Canada. And a huge thank you goes to everyone who participated and donated. Thank you all for your support.